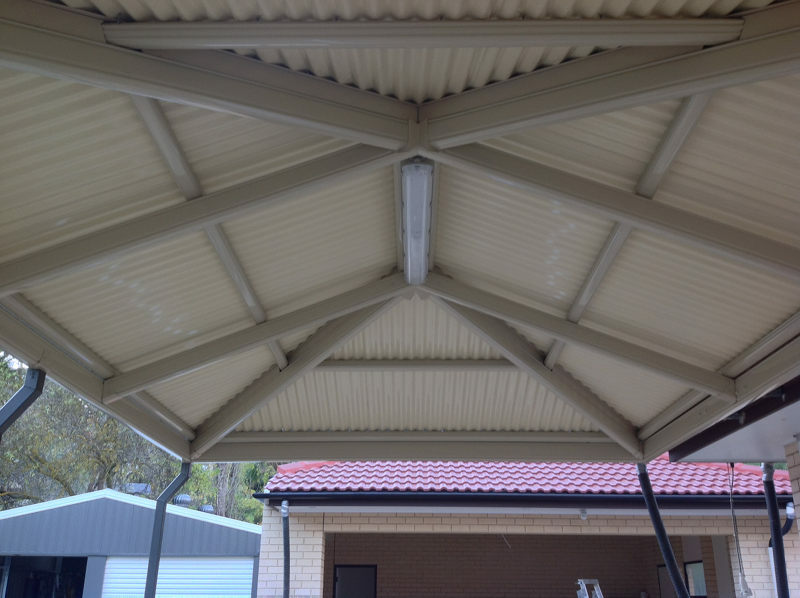 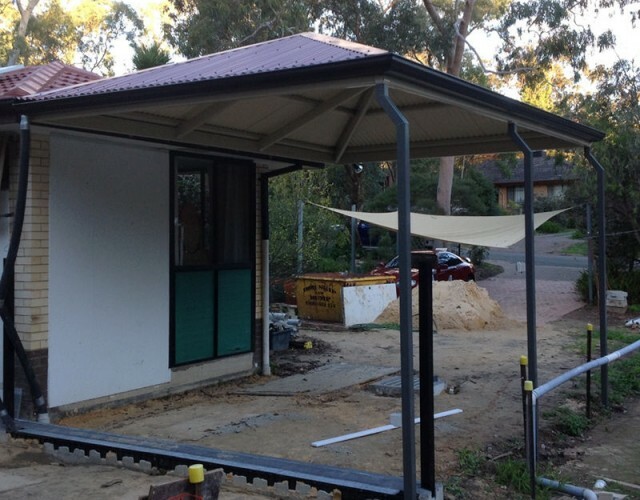 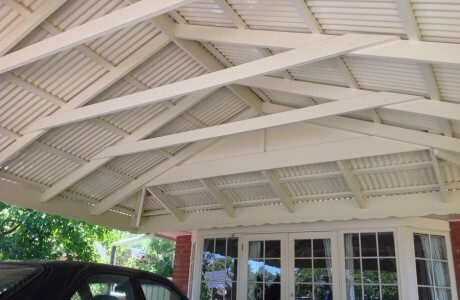 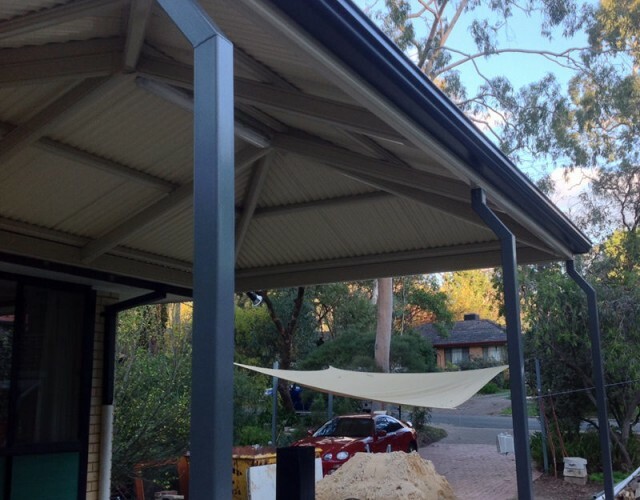 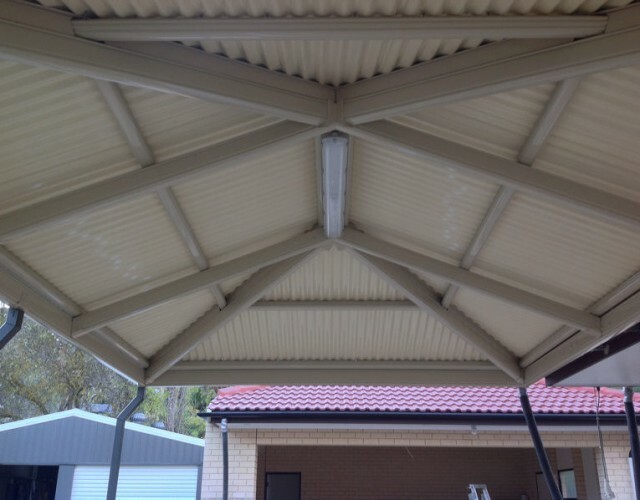 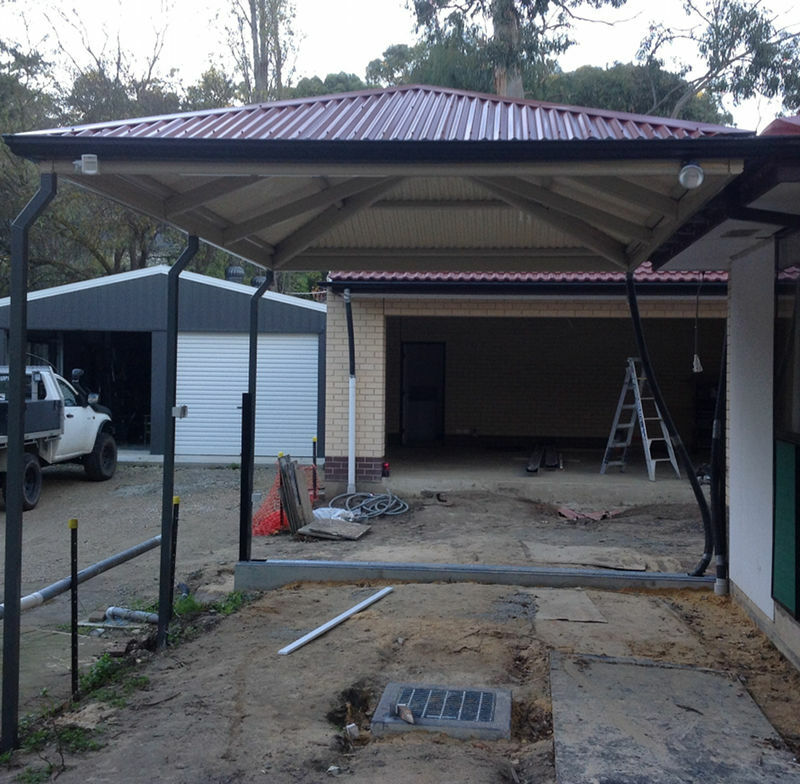 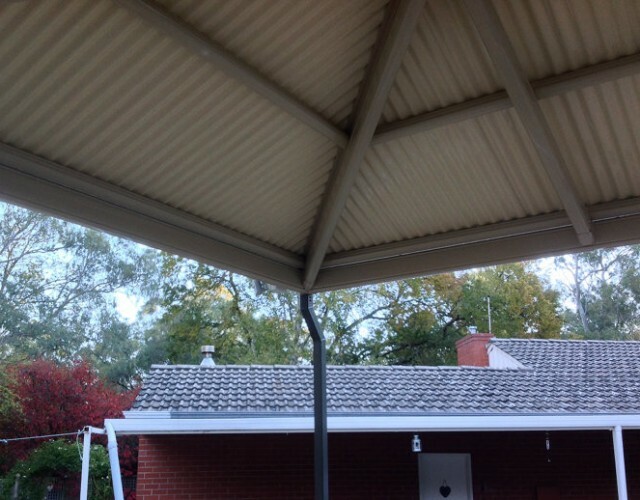 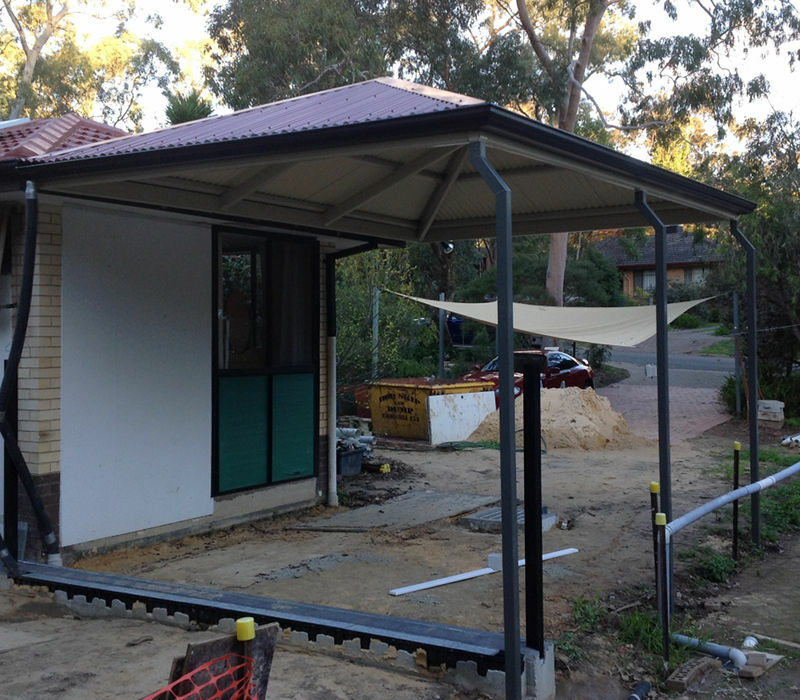 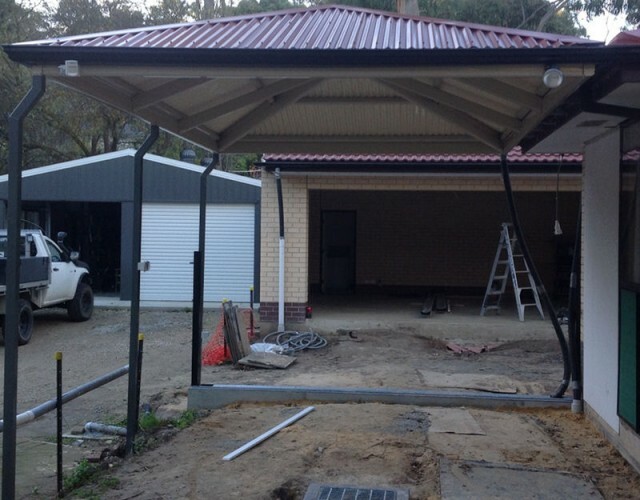 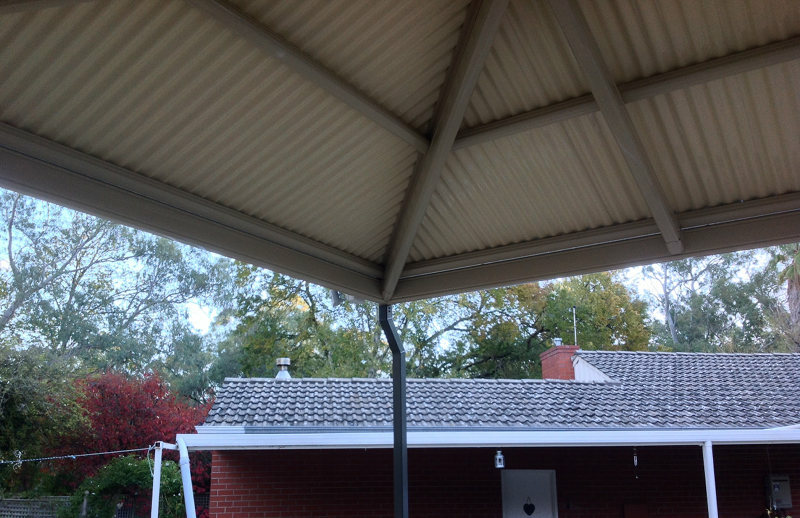 Outback hip end side attached gable carport. 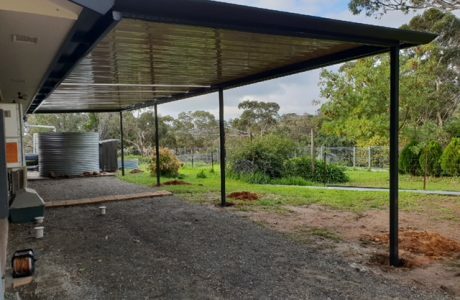 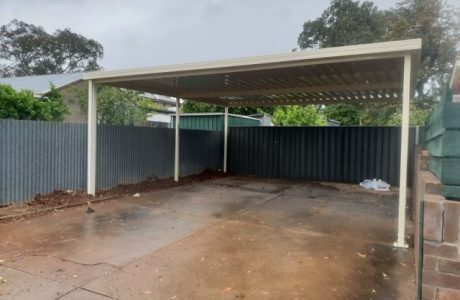 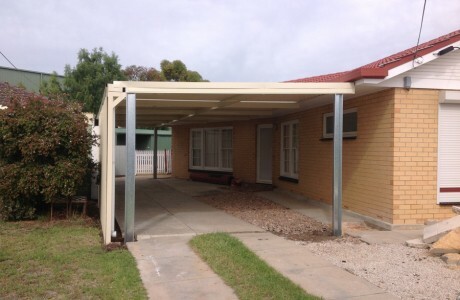 This carport was built with offset posts so they could be used as part of the fence. 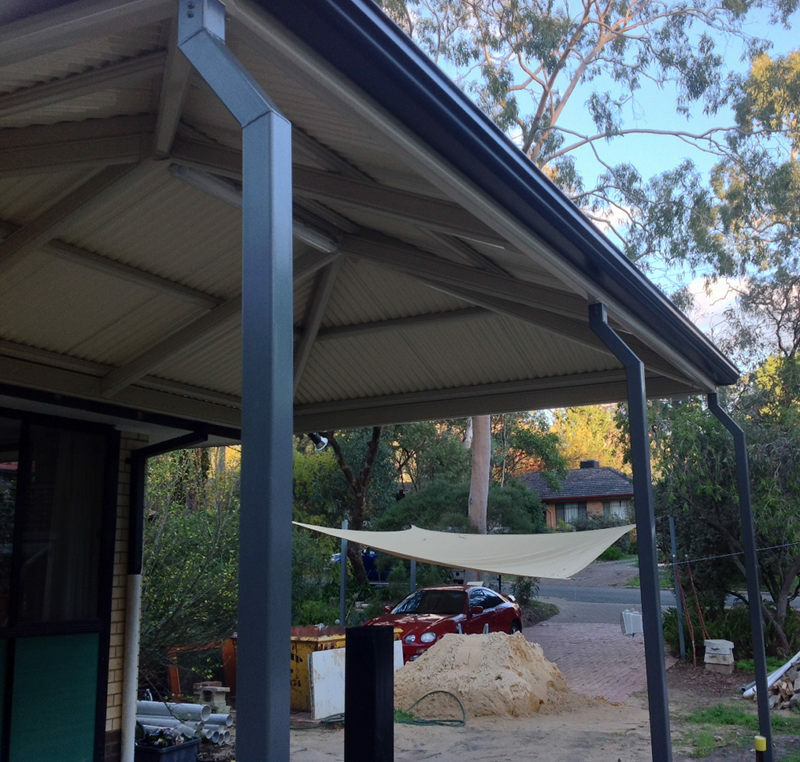 This allows the posts to be on the boundary with out the gutter protruding over.